It always takes me a few days to get into the swing of juice feasting and this time around has been no different. Some people do all their juicing first thing and so then it is done for the day but this can be quite time consumming and as I tend to do my workouts first thing I find that I only have enough time to make two juices before I have to be out of the door. So, back home for lunch today and straight to the juicer to make another two juices to last me the rest of the day as I have another client later tonight. I also fitted in a trip to the supermarket today to stock up on extra produce. I always get a few funny looks at the checkout as most of my shopping is fruit and veg on a normal day so when I am juicing then I really have a lot!! We also run our car on veggie oil in the warmer months of the year and our supermarket is doing a good deal on this at the moment too so today I had a trolley full of fruit and veg and about 10 x 3 litre bottles of veggie oil. No wonder the checkout girl looked at me strangely- maybe she thought I was going to deep fry everything….. Thanks for reading and happy juicing………. Today is day 29 of my 30 day fitness challenge and whilst I haven’t blogged over the last week or so rest assured that I have been keeping up with my challenge and exercising on a daily basis. My exercise now falls into 3 categories:- yoga, running and interval training and whilst yoga still takes centre stage when it comes to my daily workouts I am keen to keep up with both the running and the interval training. I am being careful not to overdo the running as it can have a detrimental effect on the yoga – running tightens muscles; especially hamstrings, and with yoga you are looking for the opposite effect to be true. Luckily so far I haven’t seen any adverse reactions to my running – probably because I run so slowly – hehe – so for now I will keep it going as it is. So, my 30 day fitness challenge has been very successful and I have a renewed appreciation for daily exercise. I will definately be keeping it all going. Having kick started my exercise again it has made me look at other areas that can use a little overhaul. My diet is pretty good these days being about 95%raw with the odd piece of fish or raw cheese. 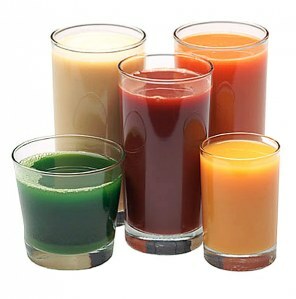 Over my years of being raw I have tried many times to do a juice feast but have never lasted beyond 7 days. So, my next challenge (I am a girl who loves a challenge!!) I am planning a longer juice feast. Starting today I am going to try and juice feast until the beginning of June when we are going away for a few days. I will probably aim to feast until the 5th June which gives me 27 clear days. I have enlisted some help in the motivation stakes in the form of my little sis who is going to be doing a modified juice feast alongside me. She will juice for breakfast and lunch and then have a salad for her tea. Hopefully we will be able to keep each other on track. I will be aiming to get in about 4 1/2 litres of juice a day plus water and hot teas. It usually takes me a few days to get used to drinking that amount of liquids so I guess the first few days may be a little short of the 4 1/2 litres required. Today is day 1 of my 30 day fitness challenge. Whoo hoo….am really excited about getting my booty into some serious shape that I am already thinking about extending it to 60 days. I may feel differently tomorrow though!! I have an easy day work wise with some clients later in the day so it was a good day to begin. I managed to get my workouts in before midday and am sitting here eating my lunch as I write up today’s blog entry. 1. 20 minutes on treadmill – 5 minutes warmup at a fast walking pace and then I just did random run/walk intervals. I will be more structured with the intervals (i.e. speed and length) in a few days but today I just wanted to get back into running mode again. My legs felt like jelly after the interval training – lol, but it was a good feeling in a macabre kind of way. It was a different sort of ‘tiredness’ to how I feel after doing a 90 minute yoga workout and I could definately feel that I had worked my larger muscle groups (quads and hamstrings) in my legs in a more intense way. I’m looking forward to day 2! !